From what I can tell, even a woman who looks as if she has it all together, knows who she is and exactly where she’s going has insecurities. I have my fair share–and (to me anyway) with good reason. 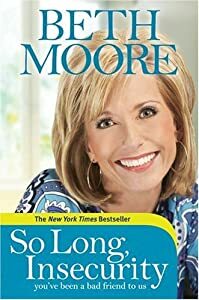 Beth Moore has a book called, So Long, Insecurity: You’ve Been a Bad Friend to Us. (Copyright 2010, published by Tyndale House Publishers Inc.) I’m reading this one, not listening to her Bible Study, although if she has one, I’m absolutely thinking we need to get our hands on it! She even hands out awards for the most insecure people in the Old Testament. (See why I enjoy this woman? Her brain works in a way I can relate to!) The women’s #1 most insecure was a dual award. No, not Sarai and Hagar, although she gave them runner-up. NUMBER ONE MOST INSECURE IS . . .
Well, no one can say it like Beth, so I’ll let her. And those were only the first few sons. In the ancient world, names were often given to the infant on the seventh day. Imagine what our children might have been named if we had chosen something that reflected our postpartum frame of mind. A name meaning “I guess I’ll never sleep again”? Or “Fetch that man so I can flail him”? Or “I’ve never been in so much pain in all my life”? Or “Where in the world is my mother when I need her”? Or “She’s not as cute as her big brother was”? Or just something short and sweet like “Hemorrhoid”? Oh, yeah. Beth Moore knows women. She doesn’t candy coat what we do, but she does understand the reason for it. She touches the heart of women today. And yesterday. Nothing like thinking God doesn’t like you as well as He likes someone else to make you a smidge insecure. Ever wondered why it’s so hard for you to achieve something that seems to happen so easily for someone else, it’s nearly an accident? I have. Have you ever looked at those nearest you and wondered why God blesses them so much while He seems to overlook you? I think most of us, if we’re being honest, have. Ever asked, “Why me?” “Why is my child the one who got this illness?” “What did I do to deserve a spouse who’d do a thing like that?” “Why did I . . . Why can’t I . . . Why, why, why??? I listen to a lot of Christian talk radio when I drive (if I’m not listening to a Bible study or ’60’s music.) Yesterday, I heard a preacher say that suffering gives us the opportunity to grow in Him. To become more Christ-like. Trials and suffering are God’s way of telling us He loves us. I have some people in my life who are very, very loved by Him. Don’t you? Categories: Small World Books | Tags: Beth Moore, Bible, Bible Study, God, Jacob, Leah, Old Testament, Rachel | Permalink. I’m attempting to do something this year I’ve never tried before. No, wait. That’s not true. I have tried before, but didn’t have the help I needed, so I punked after only a few days. I’m trying to read through the Bible in a year. My church has done it before as a group with SS lessons and sermons to go along with what they’d read during the week. I enjoyed it when I visited, but I lived in Pryor Creek at the time and didn’t join in. A year or two ago (or it might have been five or ten LOL) they listened to it on tapes. I neglected to order the tapes, and I missed out. And I resisted. Why? Because, having gone to a Christian college, I know how easy it is for me to let the Precious Words turn into “just” words as I rush to finish. So when Preacher Dave announced this year we were going to read through as a church family, I started praying about it. I want to do this. Do I want to do this? Will You bless it? This year, there were handouts that listed the scriptures to be read each day. (I think you can find it online at http://discipleshipjournal.com ) I forgot to pick one up that first Sunday, but I figured they had to start with Genesis. Right? So I started there, too. I read. So this past Sunday, I got the reading schedule and found I wasn’t behind–in Genesis, at least. But the schedule has us reading in Psalm, too. NBD–I was able to catch up that first day. Fast forward–Today (Genesis 27-29) we read about Jacob falling in love with Rachel, working seven years for her and being given Leah, the older, uglier sister, on his wedding night. I think I forgot to stop reading where I was supposed to. When she took that pen name, I thought how fun it would be to write as Leah Butler. Butler was the last name of my mother’s best friend in high school, and Leah was Rachel’s older, uglier sister. Perfect for me! But when at long last I sold my first book, Marilyn had (at least temporarily) stopped writing as Rachel, and I was a little (or a lot) afraid I might never sell another book, so I stayed plain old Susan Shay. Back to this morning: I turned to the other reading for the day. Psalm 10. God put that there today just for me. He knew exactly where I’d be today and what I would need. As I read, the words nearly shouted at me. Verse 15 stood out. I read it again and again. LOL. I couldn’t stop with Psalm 10. I read on. Eleven. Twelve. Thirteen, fourteen, fifteen . . . .
Then I got to Psalm 17: 7- Show me the wonders of your great love, you who save by your right hand those who take refuge in you from their foes. 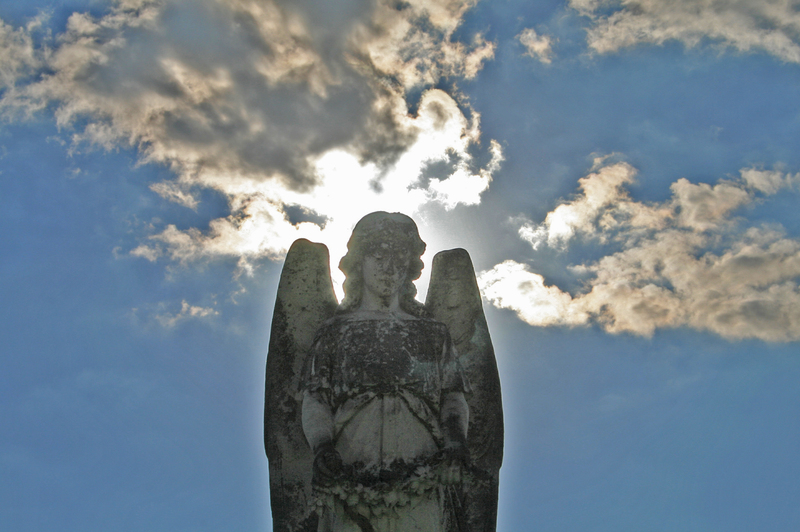 8– Keep me as the apple of your eye; hide me in the shadow of your wings . . . Thank You. YOU are my portion. Categories: SSMT | Tags: Bible, Book of Genesis, Genesis, God, Jacob, Old Testament, Psalm, Read-through | Permalink.